Note :"NRF24L01+ " just mean the printing on this module. 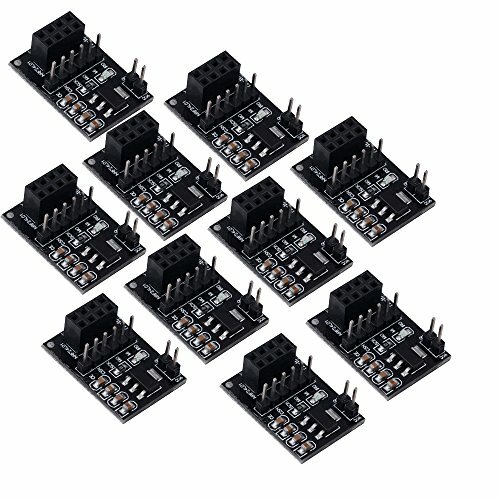 This module can be any one of 51 shop is directly connected to the system board, easy to use. It's for 8 Pin NRF24L01+ Module. This is a simple socket board which is for NRF24L01 Wireless module. It could be used with NRF24L01 Wireless module at our store. This module is easy to shop wireless module with 51 single system board used in conjunction. It's for 8-Pin NRF24L01+ Module. If you have any questions about this product by diymore, contact us by completing and submitting the form below. If you are looking for a specif part number, please include it with your message.